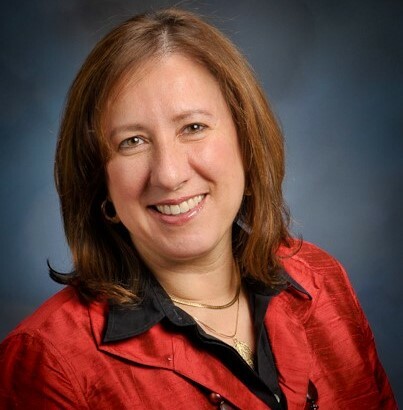 Jane Okun Bomba is President of Saddle Ridge Consulting and is an experienced finance and HR executive. Previously, Jane was Executive Vice President, Chief Administrative Officer at IHS Markit, a global, $18 billion publicly-traded Information Services company with 14,000 employees in 38 countries. In that role, she led 450 people worldwide through many corporate functions including HR, Marketing, Communications, Sustainability and Investor Relations. Jane has led large transformational and global initiatives, implementing disciplined change management programs in parallel. Jane joined IHS in 2004 to lead the company’s IPO after which she assumed responsibility for many company challenges. Prior to IHS, Jane was a partner at Genesis, Inc. and headed investor relations at Velocom, MediaOne Group, and Northwest Airlines. She held management positions in corporate finance at Northwest Airlines and American Airlines and started her career with Price Waterhouse in Detroit. Jane serves on the board of Kickstart International. She is a member of the University of Michigan, School of Literature, Science and Arts Dean’s Advisory Committee and a member of the International Women’s Forum. Jane is a former board member of International Relief and Development (a large Washington DC-based international NGO). She also previously served on many other non-profit and association boards. A native of New York, Jane holds both a BGS and an MBA from the University of Michigan at Ann Arbor. She completed graduate studies at the Stockholm School of Economics, and board director education in the Women’s Director Development Program at the Kellogg School of Management, Northwestern University and the Directors’ Consortium. In 2017, Jane was recognized as one of the Most Powerful Women in Colorado by the Women’s Chamber and was named a finalist for Outstanding Women in Business by the Denver Business Journal. She is an angel investor, often working with company management teams, and is a speaker on the subjects of Investor Relations strategy, Women in Business and Leadership and Sustainability/ESG.